With over forty years’ experience of producing elastomer components for a wide and varied range of industries and customers right across the world, we’d like to think we know a thing or two about Elastomers. In layman’s terms, elastomer is another word for rubber, but what makes elastomers special is their ability to ‘bounce back’. Specifically, some elastomers can be stretched by up to 700 times their original length - but due to their chemical make-up, they have the capacity to return to their original shape with little or no permanent damage or deformation. This is achieved through the chaotic structural make-up of elastomers that contain polymer chains which wind and tangle in a jumbled mess when viewed under a microscope. However, when the elastomer is stretched, the polymer chains are forced into the same direction in which the rubber is being pulled. As elastomer strives to revert back to its original state, the polymer chains return to their position once tension has been released. A portmanteau of Elastic and Polymer, Elastomer’s versatility make it the perfect material for seals, adhesives and moulded flexible parts, and in our latest blog, we look at five specific varieties in closer detail, comparing their typical properties, and some of their common uses. Mainly available in two structures, either as a copolymer (EPR), or as a terpolymer (EPDM), Ethylene-Propylene is commonly used in the production of seals and gaskets in the food industry, window door seals, wire and cable insulations, waterproofing sheets, and hoses. Nitrile rubber can be classified into three types based on the acrylonitrile (ACN) content (low, medium and high). The higher the ACN content, the higher the resistance to aromatic hydrocarbons. The unique balance of oil, chemical, heat and cold resistance allows it to work well in a wide variety of automotive and industrial applications, making it the ideal material for gaskets and seals, hoses and cable jacketing. A saturated version of NBR elastomers, HNBR components show superior heat resistance, as well as good resistance to many oil additives, hydrogen sulphide, high-energy radiation and amines present in crude oil. Typical deployments are in extreme environments such as oil-fields and under-bonnet automotive applications. Platinum-cured silicones offer enhanced levels of purity and low extractables making them ideal for pharmaceutical, biomedical and food & drink applications. FKMs are available as a copolymer, terpolymer or tetrapolymer, depending on the level of chemical resistance required, and are either bisphenol-cured, or peroxide-cured to provide better resistance to wet environments. 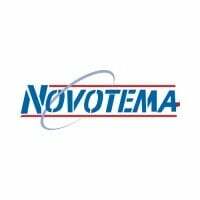 As experts in the field, Novotema offer a range of specialist services related to the design, moulding, testing and supply of elastomer components, so whatever your engineering dilemma may be, our team of fully qualified and experienced engineers are always on hand to provide innovative solutions to ensure your business challenges are met with an appropriate technical solution. For more information about elastomers, and their suitability for your needs, chat with our experts online today, or drop us a line here.